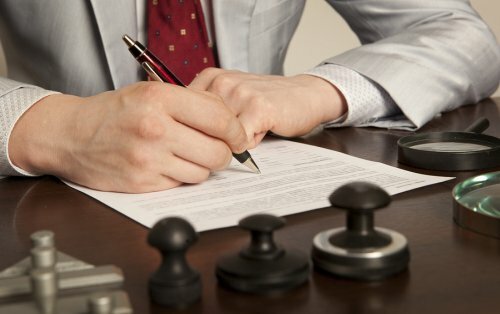 When the time has come to file for divorce , you might consider having your divorce lawyer in Glen Burnie or Severn try for an out-of-court divorce settlement. That’s exactly what Johnny Depp and Amber Heard did when their marriage ended in scandal. Watch this video to find out the details. This entertainment reporter provides some background on the case. After being married for just 15 months, Heard filed for divorce from Depp and alleged that Depp had been physically and emotionally abusive. After the two reached a divorce settlement, Heard petitioned to get the domestic violence charges dropped. The settlement involves Depp paying Heard a total of seven million dollars, which Heard has said she will donate to a charity. Are You a Good Candidate for a No-Fault Divorce? 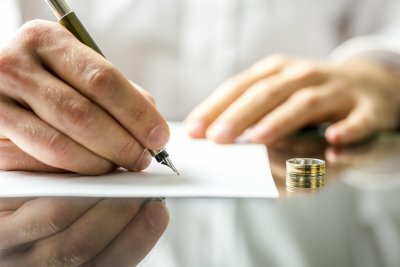 Before you file divorce papers in Glen Burnie or Severn, it’s necessary to consider whether you meet the requirements to file for divorce and to consider which type of divorce you wish to pursue. Maryland divorce law allows couples to file for fault-based or no-fault divorce. 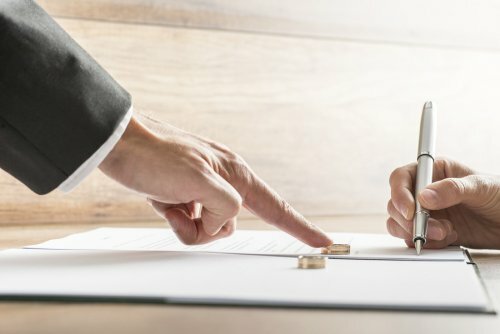 Fault-based divorce is only permitted in certain circumstances, such as when one spouse is accused of desertion, adultery, or other acts of egregious conduct. Most couples will file for no-fault divorce, which does not place blame for the breakdown of the marriage on either spouse. Before filing for either type of divorce, it’s necessary to meet the residency requirement. At least one of the spouses must still be a resident of the state before filing the court papers. At least one of the spouses must demonstrate residency in Maryland for at least six months prior to filing. Until recently, the only basis for a no-fault divorce in Maryland was a legal separation. Couples are required to live in separate residences for at least 12 continuous months before filing the paperwork. If they temporarily cohabit the same residence, even for a day, the 12-month period begins all over again. Likewise, if the couple shares sexual intimacy, the 12-month period must start over again. Legal separation is also referred to as limited divorce. 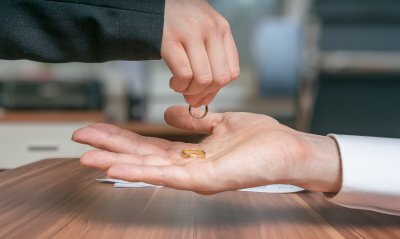 A limited divorce proceeds through the court system. It allows a separated couple to settle certain matters while waiting for grounds for an absolute divorce. For example, they could determine the division of property instead of having to wait for the 12-month period to be complete. When a couple has legally separated, they are not legally bound to proceed to divorce. They may decide to reconcile. Recently, a new Maryland divorce law was passed that allowed certain qualifying couples to bypass the legal separation requirement. The law is based on the mutual consent of the spouses. Spouses can only qualify for this no-fault divorce is they share no children in common and come to an agreement on all issues, such as property division and alimony. If you have been charged with driving under the influence (DUI) or driving while intoxicated (DWI) in Maryland, you face the loss of your driving privileges. To fight back against a suspension of your driver’s license, a DUI lawyer located in Glen Burnie or Severn might advise you to request a Motor Vehicle Administration (MVA) hearing . If so, your MVA hearing will be scheduled about four to six weeks after your request date. 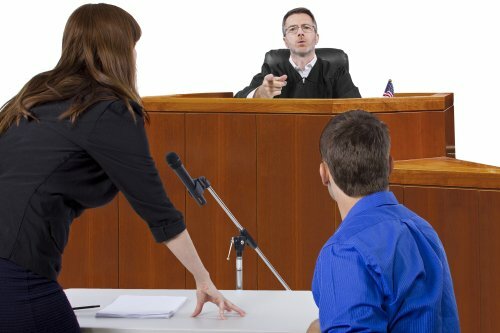 An MVA hearing is different from a typical court proceeding. It is held at an MVA facility before an administrative law judge. Although MVA hearings are less formal than criminal court proceedings, they do share similar characteristics. Each party will have the opportunity to present exhibits and his or her arguments. At the conclusion of the hearing, the administrative law judge will decide whether to suspend your driver’s license. If your license is suspended, your lawyer can file an appeal within 30 days of the hearing date. Sometimes, the decision to file for divorce comes easily. A spouse may have committed an unforgiveable act of infidelity or perhaps even been incarcerated. There are many fast-developing situations that can prompt the other spouse to consult a divorce lawyer in Glen Burnie or Severn. But in many cases, the decision to file for divorce comes after hours of painstaking consideration and emotional upheaval. Often, spouses simply grow apart or fall out of love. If the thought of divorce is already in your mind, then chances are pretty good that there’s at least one major problem with the marriage. Many people consider unfaithfulness to be unforgiveable. Even when a spouse tries to forgive the other person, it can be very difficult to truly move on and rebuild the marriage. Sometimes, even the mere suspicion of infidelity is enough for a spouse to consider filing for divorce. If you suspect that your spouse has not been faithful to you, it’s time to consider whether the marriage is truly salvageable. A long marriage—or even a short one—can witness many changes in both spouses. It’s likely that neither of you is exactly the same as when the relationship first started. Changes in personality, lifestyle preferences, life goals, and other traits may encourage emotional disconnection in a marriage. Sometimes, couples simply grow bored with each other. If you look forward to your time alone more than your time with your spouse, this could be an indicator that the two of you have drifted apart over the years. Communication is everything in a marriage. When spouses can no longer communicate openly with each other, they grow frustrated and even resentful. Simple discussions can frequently lead to passionate arguments, which may be unlikely to resolve with genuine apologies. Sometimes, a marriage counselor can help couples restore the ability to communicate. In many cases, the marriage heads toward divorce. Substance abuse is a complicated problem that often drives families apart. The person who is abusing drugs may no longer be seem to be the same person to his or her spouse. Substance abuse often involves deceit, broken promises, and financial ruin-all of which can destroy a marriage. If you are charged with a DUI , it is imperative to contact a DUI lawyer near Severn and Glean Burnie before you speak to the police. Being arrested is scary, and losing your driver’s license can be life-altering. If your driver’s license is confiscated by the police, you and your car accident lawyer have only 10 days to take action. 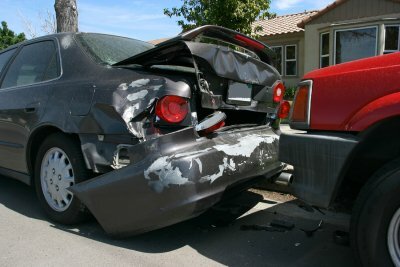 If you fail to contact car accident lawyers and pursue the matter, you can completely lose your driving privileges. While you will receive a paper temporary license, that license will be suspended unless you request a hearing or qualify for the interlock. As your accident attorney will explain, failure to request a hearing within 10 days of being issued your temporary license means that you will not get an extension of your paper license to carry you through to the hearing date. However, you and your car accident lawyer can request that you be allowed to drive to work even while your license is suspended, as long as you file the proper documentation with the court. Only your car accident lawyers can determine if you qualify for this exception. If you and your spouse are considering splitting up, you may have considered meeting with divorce lawyers in Severn and Glen Burnie to discuss a legal separation . While a separation agreement is often a precursor to divorce, you may still decide to reconcile after you separate. As your divorce lawyers will explain, a separation agreement does not dissolve a marriage. However, it is a legally binding document in family law. When your family law attorney draws up a separation agreement, that document outlines legal results and responsibilities of living separately from your spouse. Separation agreements may include child custody and child support arrangements. Some legal separations will also divide marital property. Once signed, a separation agreement is legal and binding. However, child support and child custody issues may be adjusted by a court later on. Once you and your former spouse have been legally separated for 12 months, you may either seek a no fault divorce or elect to remain married. If you and your spouse are not sure of your options when it comes to legal separation, divorce, and family law, you should meet separately with divorce lawyers. Have you been hurt in a car accident that was not your fault? If so, contact a car accident lawyer in Glen Burnie and Severn right away. Only car accident lawyers are familiar with state negligence law and understand how the system works. Personal injury law mandates that all drivers on the road exercise a certain standard of care. When drivers are negligent—and that negligence results in personal injury—they are liable for any damages that result. Keep reading to learn more about the elements of negligence in car accident cases, including a breached duty of care, direct causation, and demonstrable damages. As your car accident lawyer will explain, the first element of negligence involves a duty of care and the breach of that duty. In short, if you are hurt, car accident lawyers need to prove that another driver was obligated to be reasonably careful and failed to act carefully. All drivers are legally required to drive carefully, so that element is easily satisfied. A breach of the duty occurs when a driver unreasonably fails to stop at a red light, watch for crossing pedestrians, or follow at a safe distance. Car accident attorneys also need to show the court that the other driver’s failure to drive carefully directly caused your injury. Even if another driver does not stop at a stop sign, rear ends your vehicle, and you suffer an injury, the driver is only liable if his failure to stop directly caused your injury. For example, if you suffer a back injury but have had longtime back problems, your car accident lawyer will need to show that your recent injury is directly attributable to the other driver. The final step in proving negligence is showing damages. Damages are injuries for which you may be compensated. Common examples of car accident damages include lost wages, diminished employment opportunities, medical bills, and pain and suffering. If you suffer a minor injury that requires no medical care or time off work, you will not have a car accident claim. After being arrested, your first step should be to contact a DUI lawyer near Glen Burnie and Severn who also handles DUI and other criminal cases . 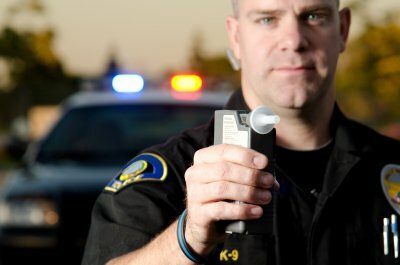 Only DUI attorneys can help you fight a DUI or more serious criminal charge. As your car accident lawyer will explain, you should never speak to the police without having your car accident lawyers present. When you are arrested, the police are obligated to advise you of your Miranda rights. You have the right to remain silent and to know that anything you say can and will be held against you in court. You also have the right to have your criminal and auto accident lawyer present. If the police fail to apprise you of your legal rights, your attorney may be able to have the case thrown out. Divorce lawyers near Glen Burnie and Severn also regularly counsel clients who want to retain ownership of a family pet during a divorce. Pet custody issues can be complicated and require the attention of an experienced divorce lawyer. Deciding to divorce is difficult under any circumstances, which is why you need a divorce lawyer who is experienced handling a wide range of family law issues. While custody of children is determined using the best interests of the child standard, pet custody is a property issue. To get custody of your pet, you and your divorce lawyers will need to show that you either owned the pet or provided the majority of care. Your divorce lawyer can also prove that you are better able to care for your pet.